Designed to handle even extreme applications, the AD8120 scanner is built-in with two long-lasting lamps. These mercury-free lamps give you maximum illumination to help eliminate shadows from wrinkled documents. The AD8120 scanner can be integrated with an imprinter. The innovative combination allows users to print a sequence number or characters physically on the rear side of each page that is being scanned. By printing serial numbers, the scanned data can be tracked, matched and/or indexed with the original document. The AD8120 comeS with TWAIN and ISIS drivers, and are bundled with a suite of powerful software applications that include Avision Button Manager V2, AVScan X, and ScanSoft PaperPort 14SE. With Button Manager V2, you can complete a scan and send the image directly to cloud servers such as>Google Drive Dropbox, Evernote, FaceBook, or Microsoft SharePoint with a press of a button. You can also save the image to searchable PDF, JPEG, BMP, or GIF file format, and scan to e-mail, or image editing application. In addition, the bundled software applications also include AVScan X and Nuance PaperPort which are are highly effective document management software to streamline your task more efficiently. The AD8120 production scanner can be integrated with an optional imprinter. The innovative combination allows users to print a sequence number or characters physically on the rear side of each page that is being scanned. 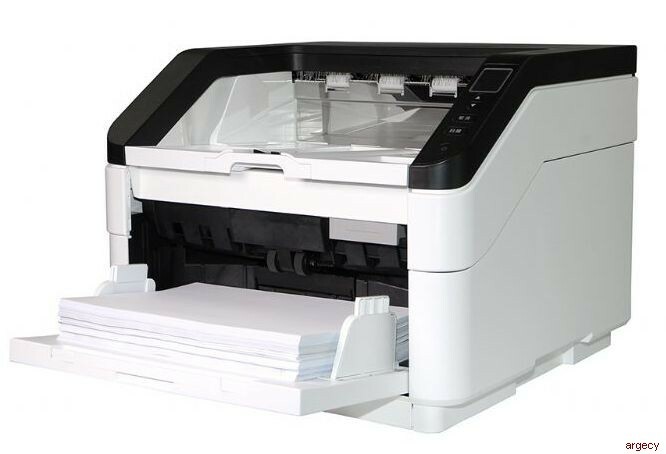 By printing serial numbers, the scanned data can be tracked, matched and/or indexed with the original document.